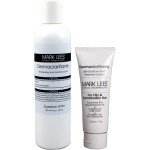 is ideal for redness-prone, rosacea, couperose, and reactive skin. A one-of-a-kind moisture product for exceptionally sensitive skin, formulated to respect and support the skin’s protective barrier. 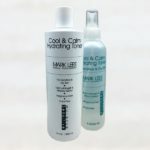 agents and gentle extracts, Cool & Calm Hydrating Toner refreshes, soothes, and hydrates the skin. contains broad spectrum Zinc Oxide in a special irritancy-tested hydrating base with soothing green tea, licorice, and matricaria extract. Ideal alone or under makeup. Purifying Cleanser contains naturally-derived fruit acid extracts and alpha hydroxy acids. Dermaclarifiante combines a light exfoliating betahydroxy acid with a hydrating agent, helping to prevent accumulations of dead cells. Dermashake is a special drying lotion for blemishes, helping to reduce surface oiliness, control shine, and T-Zone oiliness. 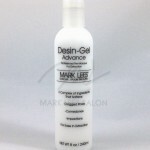 Used prior to extraction, Desin-Gel Advance softens comedones and other pore impactions for easier extraction and removal. is our most popular sunscreen – an incredibly lightweight daily-use broad-spectrum sunscreen day cream for all skin types. 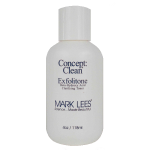 Used after cleansing, Exfolitone combines an exfoliating beta hydroxy acid with soothing chamomile extract. 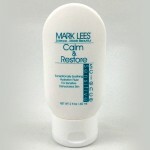 Excellent for neck or facial areas! 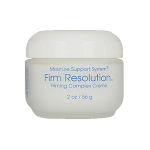 A patented complex of 2 firming stimulants, 3 powerful hydrators and nurturing emollients increase hydration and guard against Transepidermal Water Loss.